The packaging recipe for high-end foods and beverages pairs visual sizzle with product protection. As the foodie movement continues to grow, gourmet and luxury consumables are gaining a strong foothold in the consumer packaged goods arena. And that’s creating some packaging challenges. Packaging for these items must convey the product’s quality, support premium pricing and distinguish the product from competitive gourmet offerings. At the same time, the package must protect the product’s integrity and shelf life, often without the support of preservatives in the product formulation. And, increasingly, the product and packaging also need to be convenient. For packaging that is elegant looking but also able to protect delicate flavors and defend against oxidation, glass or metal containers are often the ideal choice. But if the product is not highly sensitive to degradation, a combination paperboard/film package may provide the optimal mixture of beauty, barrier and cost. At the functional level, glass does not interact chemically with products, so purity is assured. Glass also protects product taste by providing a barrier to oxygen and moisture. It is compatible with hot filling, as well, which is important to food processors such as Steel’s Gourmet Foods (www.steelsgourmet.com), Bridgeport, Pa.
Steel’s processes and packages all-natural fruit spreads, dessert toppings, condiments, syrups, pie fillings and salad dressings using glass exclusively. For products that require hot filling, the company heats to roughly 185°F. The filled, lidded jars pull a vacuum seal as they cool. Glass also offers aesthetic opportunities, which gourmet and luxury product marketers relish. “The marvelous artistry potential with glass presents all sorts of possibilities,” says Tom Marshall, president of Specialty Food America Inc. (www.specialtyfoodamerica.com), Hopkinsville, Ky.
Would you pay $35 for bottled water? Bling H2O’s bottle is decorated with 60 Swarovski crystals. Bling H2O provides an example of how far the artistry can go. Positioned as the first super-luxury bottled water, Bling H2O is filled into frosted glass bottles that have been hand-decorated with Swarovski crystals. Saint-Gobain Containers and Vitro Packaging supply the glass bottles. The brand is a product of Bling Beverages LLC (www.blingh2o.com), Beverly Hills, Calif., and the product’s primary distribution channel is on-premise venues such as clubs and bars. Bling H2O is available in 750- and 375-ml bottles, and each size is decorated with 60 crystals. Packaging costs are high, but the product’s pricing offsets the expense. The suggested retail price for the large bottle is $35, and for the small bottle, $20. In the marketplace, Bling H2O often sells for substantially more. Metal packaging is another option for gourmet food processors. Metal offers an attractive mixture of product protection and decorative potential — and in some cases convenience, as well. Although the combination of convenience and a gourmet sensibility may seem at odds, demand is quickly growing for gourmet-quality foods that offer portability, ease of preparation and other conveniences. According to “The U.S. Market for Gourmet Foods and Beverages,” a report published by Packaged Facts (www.packagedfacts.com), New York, more than 18 percent of adults try to eat gourmet food whenever they can. Doing so in the context of time-constrained, on-the-go lifestyles forces the issue of convenience. Even the French, with their passion for cuisine, are getting on board with convenient gourmet foods. High-end French processor William Saurin chose essentially a can that combined a gourmet look with convenience. For example, William Saurin (www.williamsaurin.net), Lagny-sur-Marne, France, chose a package that doubles as a serving dish to launch its Salades Gourmandes gourmet meat salads. The container is a bowl-shaped steel can with an easy-to-open peelable lid; consumers may eat the meat salad directly from the single-serve bowl. The package is lightweight and durable, which makes it practical for toting to work or school. “This package, overall, reflects and supports our daily lives: eating quickly and relatively well, combined with practicality, speed and flavor,” Fine says. In addition to convenience, William Saurin’s packaging assures food safety and taste preservation. Technologists from the company worked closely with the packaging supplier, Paris-based Crown Food Europe (www.crowncork.com), to modify filling and seaming operations and ensure that product taste, flavor, color and vitamins remained intact until the point of consumption. Thanks to retort processing and the bowl’s resistance to oxygen and light infiltration, the Salades Gourmandes have a shelf life of three years. The package uses the Crown Peel Seam opening system, which consists of a peelable flexible aluminum lid sealed on a 99-mm polymer-coated ring. The lid is seamed to the 314-ml polymer-coated steel bowl, also provided by Crown. The peelable lid has a tab for easy, safe removal from the bowl. The package’s amenability to decoration also appealed to William Saurin. The company prints product information and brand graphics on the bowl and lidding and on the can’s wrap-around paperboard sleeve. The package is stocked vertically on shelf to maximize visual appeal. Another example of metal packaging, one geared to making a splash at retail and reinforcing premium brand positioning, comes from Nicolas Feuillatte (www.feuillatte.com), Epernay, France. The company, a relative youngster among French champagne makers, recently developed a special-edition package in which its champagne bottle is packed in a metal canister. The three-piece canister is formed from holographic polymer-coated steel that is printed with brand and product identification. Corus Packaging Plus (www.coruspackaging.com), Ijmuiden, Netherlands, supplied the holographic steel, and Paris-based Crown Speciality Packaging Europe (www.crowncork.com) developed the technology to print directly on it. Nicolas Feuillatte's champagne is not in a can, but the champagne bottle is. The holographic treatment conveys premium quality and provides visual movement on shelf. The holographic treatment conveys premium quality and provides visual movement on shelf, drawing the consumer’s eye and differentiating Nicolas Feuillatte from other champagnes. Although the canister is innovative and contemporary looking, the champagne bottle inside is conventional. The main objectives of the holographic treatment “were to position Nicolas Feuillatte as a modern and creative brand, capture the interest of consumers with a three-dimensional effect, appeal to distributors by offering a ‘special edition’ package and increase brand visibility,” says Stéphanie Autréau, marketing manager at Nicolas Feuillatte. The Nicolas Feuillatte canister launched last year in major supermarkets, hotels, restaurants and liquor stores worldwide. In the coming months, holographic treatments on packaging for gourmet and luxury foods and beverages should become more common, partly because holographic origination fees are no longer prohibitive. “What you’ll see in packaging for both high-end gourmet food and for liquor is custom holograms starting to move in. It’s just a matter of time,” says Eric Bartholomay, product development manager with Toray Plastics (America) Inc. (www.torayfilms.com), North Kingstown, R.I.
Paperboard packaging also can make a strong statement for gourmet and luxury products, particularly when teamed with an inner structure that provides appropriate oxygen and moisture permeability. Napa Valley Toffee Co. (www.napavalleytoffeeco.com), Napa, Calif., uses a distinctive paperboard carton for its gourmet toffee. The product is enclosed in a heat-sealed cellophane bag inside the carton, providing a three-month shelf life at room temperature. The simple but elegant cartons, which are the result of a recent packaging redesign, have enhanced retailers’ and consumers’ perception of the brand. Napa Valley Toffee sells through local specialty food and gift shops, high-end grocery stores and the company’s web site. In approaching the redesign, “we wanted our packaging to look more like a gift,” says Mike Beatty, Napa Valley Toffee’s president. The new carton’s gable top and an embossed ribbon-like band contribute to the gift appeal. And a new three-pack specifically positioned for gift giving is improving sell-through. “The three-pack became a way for retailers to clear a lot more product. Whereas normally consumers would only buy one box of toffee, now they are buying three,” says David Schuemann, owner and creative director of Napa-based CF Napa Brand Design (www.cfnapa.com), the firm that designed the new packaging. In fact, Napa Valley Toffee has experienced a surge of interest from retailers since the package redesign — and the company has been able to raise its prices. 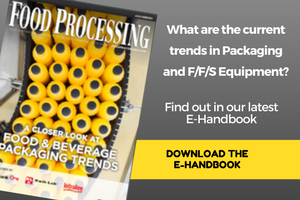 If a food processor’s distribution or channel strategy changes, its packaging also may need to be updated. That’s especially true for gourmet products that are high in fat and/or lack preservatives. For products with these characteristics, a package that provides acceptable shelf life for local distribution may not be good enough for national distribution. Longer distances to market equate to lost shelf life and the possibility of product spoiling on the way to its destination or soon afterwards. “In the gourmet food industry, the products typically have completely natural ingredients and lots of fat, which is what makes them taste so good,” says Peter Donnelly, market applications specialist at Multisorb Technologies (www.multisorb.com), Buffalo, N.Y. Currently, products from Wally's Food Co. are packaged in a 20-oz., transparent polypropylene stand-up pouch because they are only distributed locally. In order to expand beyond San Francisco, the packaging will have to change to provide a one-week shelf life. To stave off degradation, the first line of defense is packaging with a good barrier to oxygen, such as bottles, jars and tins. But even with these containers, oxygen can creep in at seams, seals or the closure interface. For dry products, such as nuts, the food processor can address that oxidation threat by adding a sachet of oxygen absorber to the container. Multisorb claims its FreshPax packets and strips absorb oxygen inside sealed packaging to less than 0.01 percent. Consequently, shelf life can often be more than tripled. Wally’s Food Co. (www.wallysfoodco.com), San Francisco, faces a related shelf-life challenge as it expands into the retail channel. Currently, the company’s refrigerated salads, soups, dinners and other products are only available by delivery, and only in the San Francisco area. The products are packaged in a 20-oz., transparent polypropylene stand-up pouch. Shelf life was not a high priority in the creation of this package, because “typically our customers order the product, we deliver it, and they eat it within two days,” says Wally Cheng, the company’s founder. However, for his retail packaging, Cheng wants to achieve shelf life of at least a week. Thus, he is considering high oxygen-barrier films, vacuum packaging and/or changing the pH level in his recipes. Cheng also would like the retail package to showcase his vibrantly colored products, which the current package does so well. He hopes to obtain retail distribution in the San Francisco area within the next several months.